The Demize U17 Boys would start the weekend off playing against the tournament host club's SLSG Premier White team (the number 9th ranked team in the state). After a 0-0 score line going into halftime the fireworks would start in the second half. The Demize would open up the scoring first with a penalty kick goal from Ethan Merino. Within minutes SLSG would score off a header from a corner kick and a rebound after Demize keeper Dalton Gahn made the first save on a breakaway. 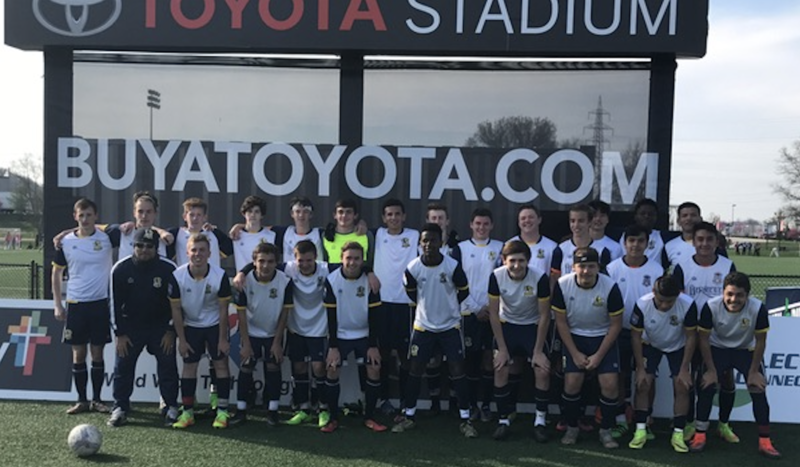 SLSG seemed to control the momentum of the second half until Jung Woo would assist Ethan as he converted one of the best goals of the weekend, scoring a 35 yard bomb that would find its way past the SLSG keeper into the top left corner. After another goal from SLSG to retake the lead the Demize would answer again with Shawn Guillot scoring in the box after another attempt from Ethan fell short of completing his hat trick. Unfortunately, the center referee would abandon the game with 15 minute remaining due to the verbal misconduct of the SLSG coach. The second game of the event would feature the Minnesota REV (the 12th ranked team in their state). After dominating both possession and goal scoring opportunities the REV scored in the second half against the run of play which left for some late heroics. In the final five minutes of the game the Demize would finally break through scoring a great goal as Jung Woo broke through the REV back line and served a ball that Ethan would tuck into the back of the net. Less than a minute before the final whistle, Ethan would find himself again in scoring position as the REV keeper made a save and pushed the ball into the post, attacking center midfielder Shawn Guillot would need a double rebound to score completing the Demize comeback and victory. 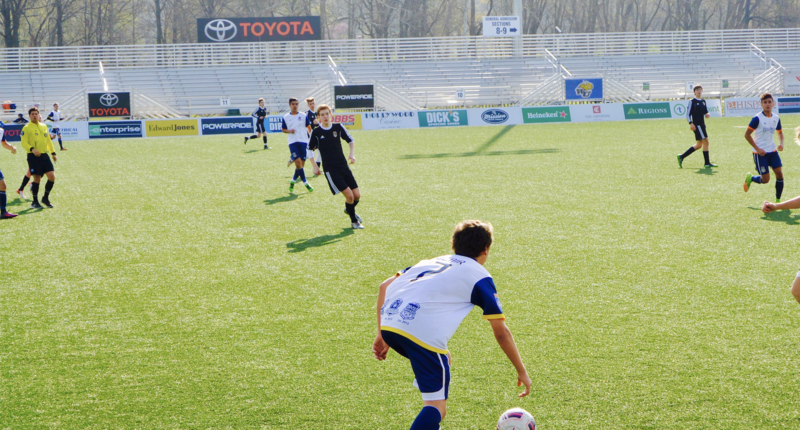 The last match saw U17 face off against Kolping Kicks SC (the 12th ranked team in Missouri). A tight battle at Toyota Stadium at the soccer park would see the Demize winning late again with Jung Woo assisting Ray Hadi run from his defensive position to get the game winner. " I felt last weekends games in Memphis, where we were the better team that could have easily won all our games but we could not find the back of the net until our last game, this weekend you could see the difference in our players and teams performances as they scored six goals in three games, which doubled our score line and the results reflected that, " stated coach Hanlon. The Springfield Demize U18/19 boys would start the weekend off with a 4-0 victory over Jambars FC from Kansas. Oscar Leiva would open the scoring with a rocket from inside the box early in the first half with Dustin Moesch, Daniel Sesay and Maicol Newkirk scoring the remaining goals. Newkirk would tally the final goal as he beat two defenders and the keeper on the dribble to finish his goal from a sharp angle on the endline. In the final game of the weekend the Demize would face off against Sporting Lee Summit the 9th ranked team in Kansas. The game would be hotly contested and yellow cards to both teams were flying. The Summit keepers late hit on Maicol would set the tone early in the game as Newkirk would be knocked out of the match due to the hit and concussion he received. The Demize would open the scoring off a set piece with Daniel scoring to beat the Summit keeper. Sporting would answer back late in the first half as the Demize defense was pulled apart from a great combination play by Sporting. The second half would start with a bang as the Demize would score 25 seconds in off of a great assist from Oscar and goal from Yahya Benmakhlouf. Unfortunately the the goal would not stand up as Sporting would answer back twice capitalizing off two mistakes in the Demize back line. " I teach our teams to play safe out of the back and Ocasr and Daniel tried to hold the ball and dribble out instead of just clearing the ball and when you play good teams you can give them second chances because they will capitalize if you make mistakes and that what happened on the Summits second goal , " said Hanlon. " I was also disappointed in the refereeing as the center did not call the game, in my opinion, consistently. With Daniel being tackled American football style in the box when we were up 2-1 and if we get the call and convert the pk the game changes drastically. " In the last two minutes the Demize would have some late heroics with Yahya almost converting on two back to back chances that the Summit keeper make great saves to persevere the victory. Congratulations to both team for a great showing with a 3-1-1 combined record!